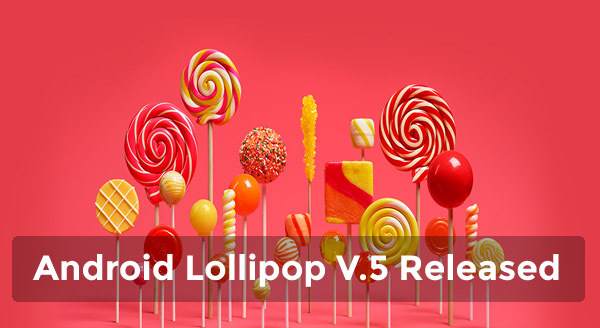 Recently Android launched Lollipop 5 which is more powerful than previously released android versions. This product has already featured by biggest brands on internet and numerous users world wide. The technology is used to design this product was too advanced which makes sure the beauty of your android devices with more colors, easy navigation, media, fonts, security issues, connectivity, runtime and performance, battery and much more. Anyway today I will mention some core features of Lollipop 5 advancements and most useful stuffs you will have while operating Lollipop. Comparing all other Android versions (KitKat 4.4, JellyBean) Lollipop is more powerful, swift, intelligent and smartest Android OS. It provides all other features including bold, colorful and responsive UI design for consistent, intuitive experiences across all your devices. The responsive, natural motion, realistic lighting and shadows with familiar visual elements make it super easy to navigate your devices. Colors are vivid, new typography, and edge to edge imagery help to focus your attention. Extremely new features are included in Notification system with Lollipop which makes it easy to receive messages on your device. You can view and respond to messages directly from your lock screen which includes the ability to hide sensitive content for these notifications. You might face fewer interruptions, which you can turn on Priority mode via your device's volume button so only certain people and notifications areget through. With Lollipop, the incoming phone calls won't interrupt when you're watching or playing but you can choose to answer the call or just keep doing what you're doing. You can control the notifications triggered by your apps; hide sensitive content and prioritize or turn off the app's notifications entirely. 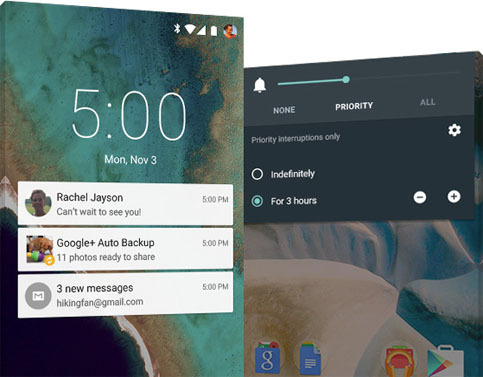 This time Lollipop's batter is more powerful for long time haul. It includes a battery saver feature which extends device use by up to 90 mins. Showing an estimated time left to fully charge is displayed when your device is plugged in. Also shows the time estimation left on your device before you need to charge again can be found in battery settings. The new devices come with encryption automatically turned on to help protect data on lost of stolen device. Also makes sure even more protection with SELinus against vulnerabilities and malware. You can use Android Smart Lock to secure your phone or tablet devices by pairing with a trusted device like your wearable or even your car. Get the most frequently used settings with just two swipes down from the top of the screen. New handy controls like flashlight, hotspot, screen rotation and cast screen controls. Very much easier on/off toggles for Wi-Fi, Bluetooth, and location. Manually adjust your brightness for certain conditions. Media is a must have feature in Android smartphone, but in case of Lollipop it provides you more bolder graphics, improved audio, video and camera capabilities. Much lower latency audio input ensuring that music and communication applications that have strict delay requirements provide an amazing realtime experience. With Multi-channel audio stream mixing means professional audio applications can now mix up to eight channels including 5.1 and 7.1 channels. New USB Audio support means you can plug USB microphones, speakers and a myriad of other USB audio devices like amplifiers and mixers into your Android device. UI is adapted for living room. Voice search for Google play, YouTube, and supported apps so you can just say what do you want to see. You can quickly cast your entertainment apps to your big screen with Google Cast support for Android TV devices. 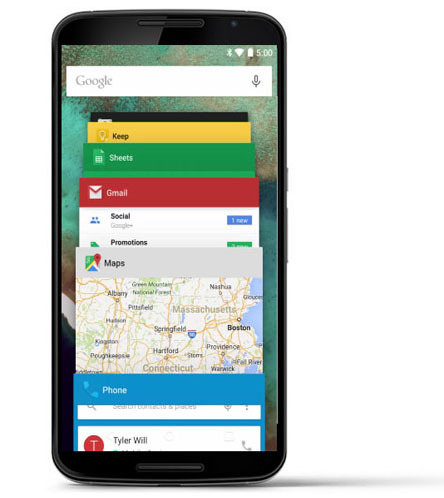 If you recently use Lollipop then you must know how smart, swift, colorful and productive Android OS is this. It is compared with iOS8 as top of the contestant in whole world. But this time Lollipop will be the most popular product to satisfy customers beside covering the biggest market shares, the experts believe. People can easily get a new device only a few dollars $300+ with Lollipop 5.0 which is even rare and impossible to get a device from Apple. Considering half of the world's people from middle class who don't have ability to purchase a product from Apple but they still can purchase a device from Android with Lollipop OS, so there is no doubt Android will cover the biggest parts of the world as their regular business mart.